It’s that time of year again! We are having our annual fundraiser at the end of October. 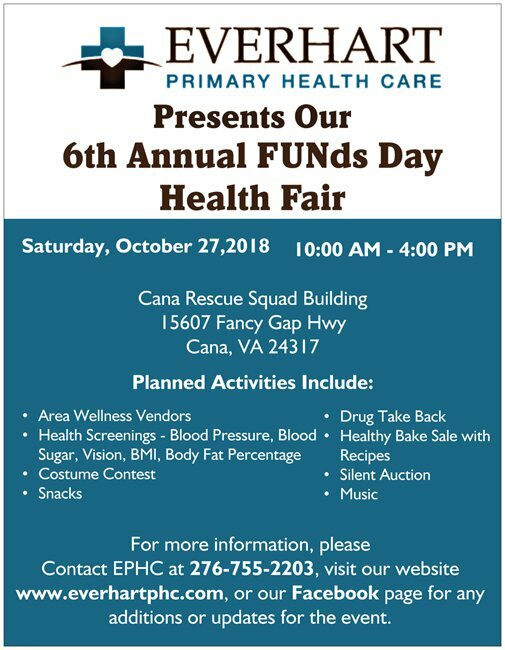 This year will be hosting a health fair at the Cana Rescue Squad. 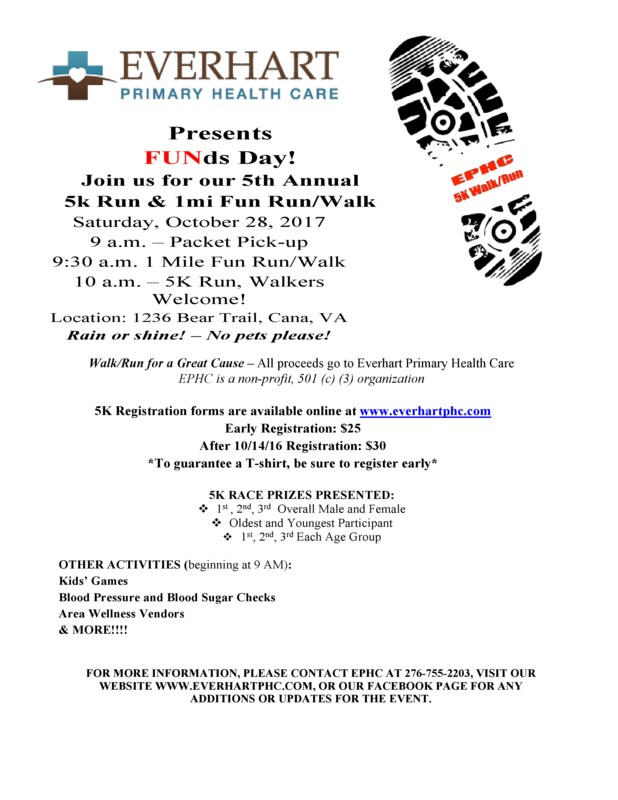 There will be area wellness vendors, healthy bake sale with recipes, silent auction, music, and snacks. We will also hope to have fun activities for kids, along with a costume contest! We look forward to seeing everyone who can stop by!